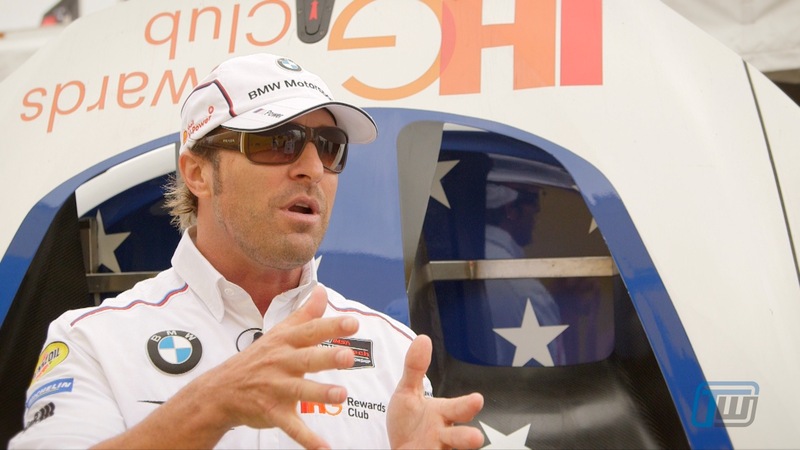 Bill Auberlen is an American factory BMW driver, born in Redondo Beach California. He has participated in more than 300 professional races in a BMW, more than any other driver. He won his first race for the marque in 1997 and that year won Drivers’ title in the IMSA GTS-3 with BMW Team PTG in a BMW M3. Bill has won more than 90 races and has stood on the podium almost 200 times so far in his career. Bill won the Speed World Challenge 2003 in a BMW M3. He didn’t just win it again in 2004, but he did so setting a record in the Grand-Am Series winning six races in a row. Bill has raced in the endurance classics including the 24 Hours of Le Mans, the Rolex 24 at Daytona and the 12 Hours of Sebring, which is one of his favorite tracks, all in BMW powered race cars. Auberlen also marvels at just how track-worthy BMW M cars are off the showroom floor: “With a brand new car to be so well developed right out of the box and have zero issues… is unbelievable.” In fact, Bill points out that racing rules actually require that BMW lower the horsepower of the road-going M6 for race use. “The M6 GTLM is like smashing an ant with a sledgehammer,” Bill explains. 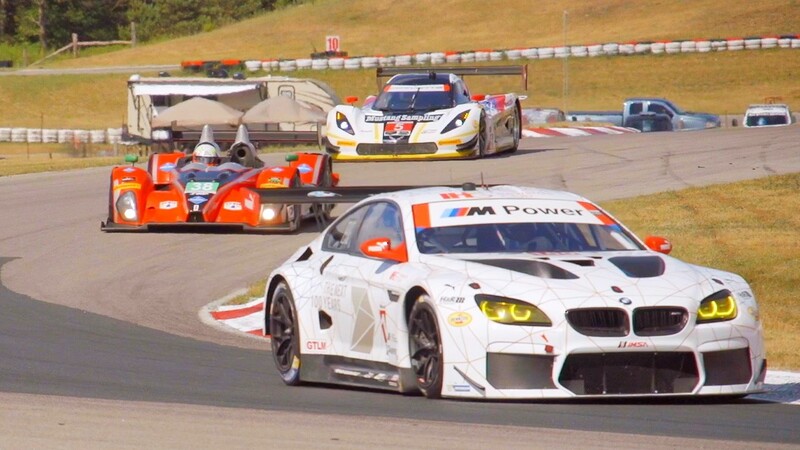 Bill is currently driving in the IMSA WeatherTech SportsCar Championship for BMW Team RLL. 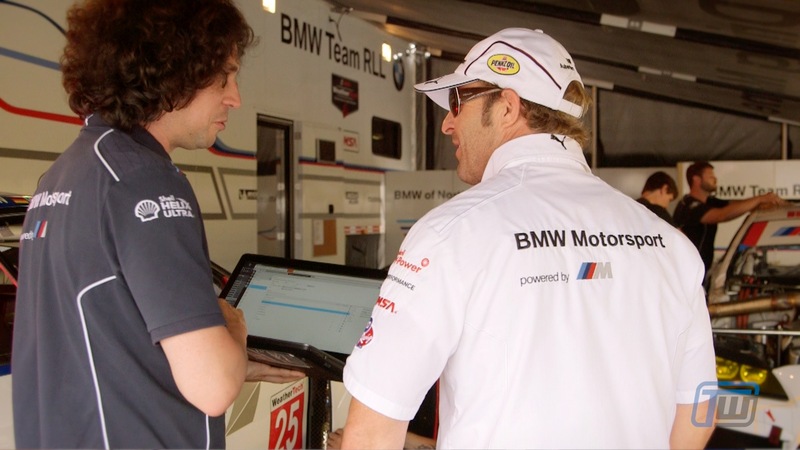 Since 2009, BMW Motorsport and BMW of North America, LLC has partnered with RLL Racing to campaign their cars. The team namesakes are Bobby Rahal, David Letterman, and Mike Lanigan. Rahal is three time CART champion, 1986 Indy 500 winner, 1981 Rolex 24 at Daytona winner and 1987 12 Hours of Sebring winner. Letterman, for those who have forgotten, is a former CBS Network late-night talk show icon. And Lanigan is the president of Mi-Jack Products, the industry leader of Travelift and Translift Rubber Tired Gantry Cranes and a long-time motorsports sponsor. Not a bad group to have behind you. Bill’s first victory for BMW Team RLL was at Road America in a BMW M3 GT2 in 2009. We had the pleasure of speaking to Bill at the IMSA WeatherTech SportsCar Championship Mobil 1 SportsCar Grand Prix race at Canadian Tire Motorsport Park near Toronto, Ontario. Our goal was to glean his thoughts on the similarities and differences between driving his road-going BMW M6 Gran Coupé and his BMW M6 GTLM race car.